Trackless deep snow greets backcountry snowcat skiers and riders. A day or more in the Montana backcountry will be a mountain experience you will never forget. Visit our new store in downtown Whitefish at the corner of 2nd Street and Baker Ave -- 403 2nd ST. E. Suite 101 right across from new City Hall. Great Northern Powder Guides provides a full backcountry experience on over 35 square miles of the Stillwater State Forest just outside of Whitefish. Great Northern Powder Guides currently operates two snow cats and a 30 ft. backcountry yurt as a base facility for their customers. While a day spent skiing or boarding in the backcountry is always an exhilarating adventure, much of their terrain is ideal for the first-time or family cat ski experience. Great Northern Powder Guides creates a unique skiing experience for our clients by having access to both north and south facing slopes of usable terrain. Guests have the opportunity to ski 10,000-plus vertical feet per day or 12,000-14,000 vertical feet per day in the Steep & Deep cat. At Great Northern Powder Guides, the trailhead accessing the terrain is directly in front of the offices, allowing guests to be on the slopes in under 30 minutes. Powder Cat: Single or Groups. Full day with breakfast and lunch included. Minimum 6 people. Steep & Deep Cat: Groups up to 10 people. Full day with breakfast and lunch included. Get more vert and eat lunch on the cat! Overnight Yurt Rentals: Overnight Yurt rental is $150/person/night and is in the backcountry in the middle of the ski zones. The 20' Yurt is fully insulated, has hardwood floors, electricity, and stove. Yurt rental includes transportation, 2 breakfasts, lunch and dinner. Yurt sleeps 15 comfortably. A full day of cat skiing, breakfast and lunch included. A minimum of 6 guest needed to operate for the day. Call or visit the website for details. Great Northern Powder Guides has teamed up with Fischer Sports and Arbor Snowboards to provide guests with top of the line powder ski and powder snowboard rentals. 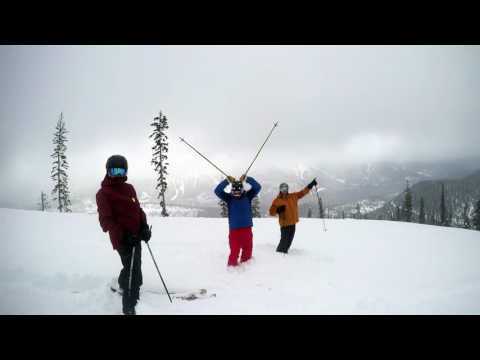 GNPG guests can add ski or snowboard rentals to any package. Lead guides for Great Northern Powder Guides have five years of extreme backcountry experience. All of our guides have at least a Level 1 Avalanche certification from American Institute of Avalanche Research & Education (AIARE), or Canadian Avalanche Association certified and are certified Wilderness First Responders. Snowcat Operators-The snowcat operators for Great Northern Powder Guides have tremendous experience and extensive road building knowledge. All of our operators are outdoor emergency care technicians or wilderness care responders. The Operators stay busy running and working on heavy equipment in the summer months, and have knowledge with the workings of Pisten Bully's. The operators also attend Alpine Service Schools, and they have grown up skiing and snowmobiling in the same area as we are currently skiing in now. Great Northern Powder Guides is located approximately 20 miles north of Whitefish, MT on Highway 93. When driving north out of Whitefish, MT, watch for mile marker 149, we are the next and ONLY building on the left! From Canada-Great Northern Powder Guides is located approximately 35 miles south of the Canadian border on Highway 93. When driving south from Canada, watch for mile marker 150 and we are the only building on the right!